Looks like a Goldfish cracker gone bad! I can see two of thease happy critters playing about, and in the process innocently catching everything on fire! I want one! Ahh! I saw this and squeeled "Calcifer!" 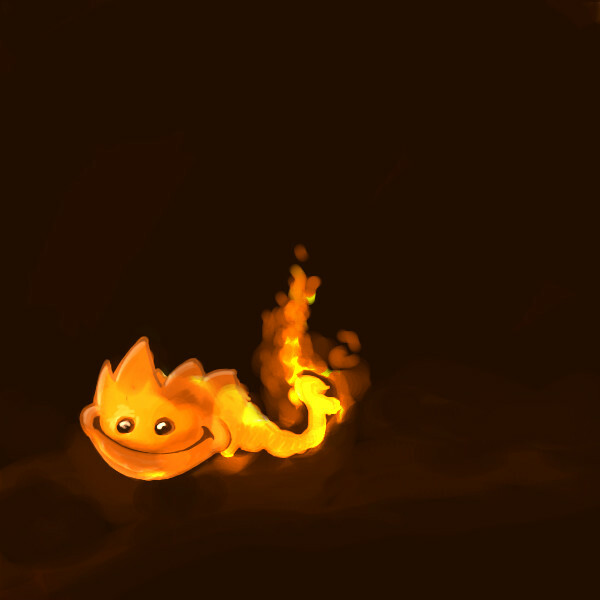 <3 Calcifer was a little fire demon from Howl's Moving Castle if you don't know. I love him. He looks so cute. The color choices (orange & yellow hues) complement each other very nicely on your critter. This reminded me of those jumping fire things from Super Mario Brothers..